Small Flat Panel Mounting Solution. Custom interface bracket compatible with all F-series and K-series mounts (except the FSR and FTR). Q: What if my display is not listed in the cross-reference chart or MountFinder Pro? 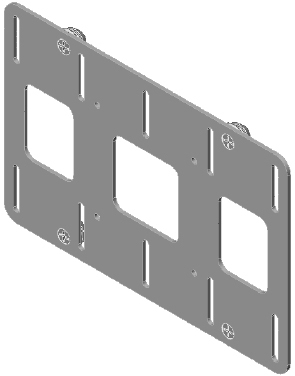 A: Chief's mounts fit VESA compliant displays with a 75 x 75 mm or 100 x 100 mm hole pattern. 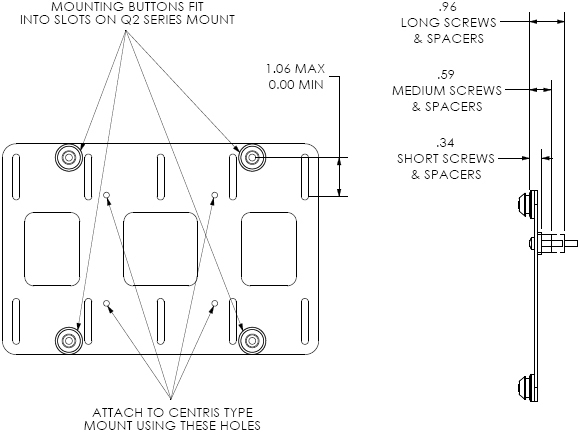 If your hole pattern does not match the VESA standard, call Customer Service to determine if Chief has a mount to fit your display.